Good morning! This is Bob Bragg. 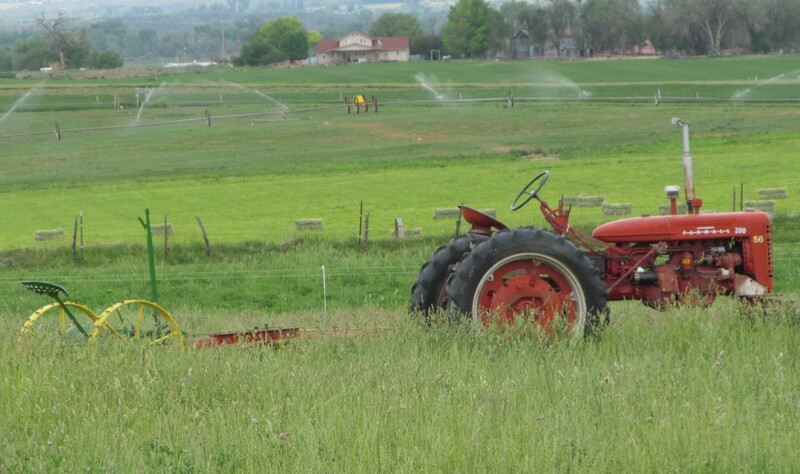 Welcome to the March 26th edition of Farm News and Views. Flooding has been at the top of U.S. news cycle for the past couple of weeks. It’s affecting large swaths of farm land and small towns in the rural Midwest. Nebraska farmers have been especially hard hit with an estimated 1 billion dollars in losses to buildings, fences, machinery, livestock and stored crops, and that figure is expected to rise. 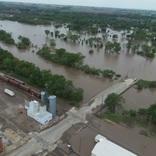 Wide areas of Iowa, Wisconsin and Missouri are also flooded. Some farmers are ferrying feed to isolated livestock in Iowa and Nebraska by boat, and volunteers from the Nebraska Air National Guard is using helicopters to air drop hay to hungry, stranded cattle. But ng to NOOA, nearly two-thirds of the Lower 48 states face an elevated risk for flooding through May, with the potential for major or moderate flooding in 25 states that could affect 200 million people. The flooding may be caused by additional spring rain and melting snow, especially in the central and southern U.S. As this excess water flows downstream through major river basins, the flood threat will become worse and geographically more widespread. A USDA Agricultural Research Service study to look for a way to simplify how researchers can measure how well a honey bee colony is doing in different foraging conditions, came up with some interesting data about the kind of habitat that is best for bees. Managed honey bee colonies placed next to land in the Conservation Reserve Program in North Dakota from May until October were more robust with better colony health , and winter survivability. They determined that honey bee colonies foraging on land growing clover and alfalfa do more than three times as well as honey bee colonies foraging on farm fields of sunflowers or canola. Researchers at the Fielding School of Public Health at the University of California, Los Angeles , conducted one of the largest studies ever, which looked at the potential effects of pesticide exposure on still-developing fetuses and newborns. Scientists found that exposure to the most commonly used pesticides was linked to higher risk of autism spectrum disorder. Overall, the study included nearly 38,000 people, with 2,961 cases of autism. The scientists found that women who were pregnant and who lived within a 1.2 mile radius of fields that were repeatedly sprayed with pesticides were anywhere from 10% to 16% more likely to have children diagnosed with autism than women who lived in places farther away from the sprayed areas. They found on average 30% higher rates among children who were exposed to the pesticides while in utero. Exposure in the first year of life increased the risk of autism by up to 50% compared to those not exposed to certain pesticides.